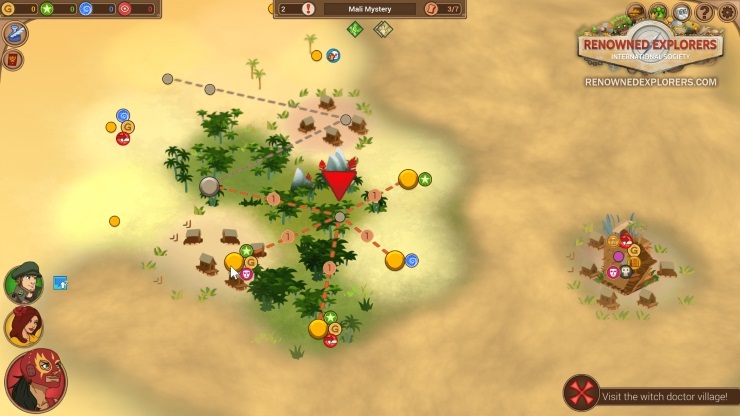 I was pleasantly surprised when I played Renowned Explorers for the first time. 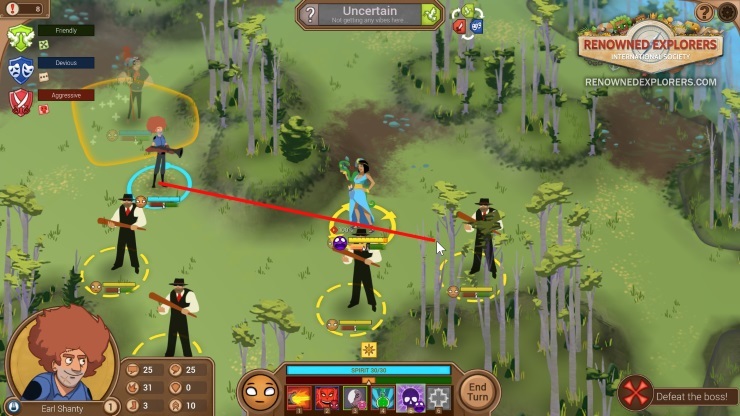 It’s a turn-based combat and exploration game with a cartoon-like aesthetic that is utterly charming in a way that harks back to Saturday mornings watching cartoons in my pyjamas as a child – which doesn’t sound too different to my Saturday mornings as an adult, either. Underneath this very charming aesthetic, however, is an incredibly deep game that can be a little tricky to master if you’re jumping straight in without much preparation. Your goal is to explore an ever-increasing number of historical sites around the world and raise your profile to that of a primo explorer extraordinaire, putting yourself above all of your peers. To do that, you’re going to have to assemble your team by selecting your Captain and two Crewmates. Of the 20 characters available, only four of them can be used as Captains to begin with, each from a different Class in the game: Scientist, Scout, Speaker, and Fighter. Everyone can be used as a crewmate, but to unlock their Captain status for future games you will need to fulfil certain criteria with that specific character (usually to complete a set number of expeditions with them). The choice of characters doesn’t matter a great deal in the grand scheme of things aside from receiving additional rewards from some encounters, but it’s always good to have a crew comprised of different Classes just to make sure you’re able to cope with most situations that come up. My first forays into Renowned Explorers saw me using Harry Walker, Bia Hekaton, and Charles Templeton which seemed to be a fairly effective crew. In retrospect there are some improvements I could make in my next adventure. Exploring the map is like Super Mario’s Overworld, wherein you travel from one node to the next in single steps. Each of these points on the map have clearly telegraphed icons of what you’re likely to find there, and most non-combat events happen based on invisible dice rolls. These are sometimes visualised by the rolling “slot machine” tumbler, but these are simply visual elements to show your outcome and make you watch the screen intently for a few seconds. There are also some “choose your own adventure” style dialogue choices that allow you to select which character you want to execute the action based on their success rates. This is where having a diverse set of classes in your crew helps, as you can account for most events of this kind, and when it comes to combat they don’t matter a great deal. What does matter in combat, though, is knowledge of the actual mechanics behind it. Renowned Explorers is a challenging game! While it may look like a fairly quaint romp through whimsical and friendly terrain, the game has an incredibly intricate battle system. The first thing to note is its use of a combat triangle that dictates what abilities are most effective in a given situation. Aggressive beats Friendly, Friendly beats Devious, and Devious beats Aggressive. During combat you will adopt different attitudes based on the types of abilities you use. Once you’ve locked into a particular Attitude, use of another type will fill up a number of small blocks at the top of the screen (just to the right of your “Mood” indicator). Both you and the enemy have an Attitude in the fight, and you both have the ability to change this Attitude to affect strengths and weaknesses to certain attack types. If your enemy’s Attitude is Friendly, your Aggressive attacks will do more damage. If your Attitude is Aggressive while the enemy is in Friendly during their attack turn, their attacks will do less damage. It’s a little tricky to get a handle on at first, but once you’re familiar with the nuances of this combat mechanic you’ll be juggling Attitude like a pro. Overall, the aesthetic lends itself to something akin to a Nickelodeon cartoon from days of yore, with the notes of humour in its animations and presentation. Audio leaves a little to be desired, though. I found the music to be a uninspiring and, at times, rather repetitive. There are no voices to speak of besides the occasional grunt or cry during attack animations – which can be overlooked since the animations do wonders to charm and entertain you. This is an essential game to have in your collection, especially if you’re someone who enjoys turn-based strategy and have been searching for something to sate your appetites. 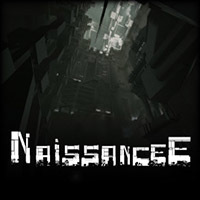 There haven’t been too many games out there that have really filled this niche, and to find one that does it so fantastically well means it’s definitely worth your time. 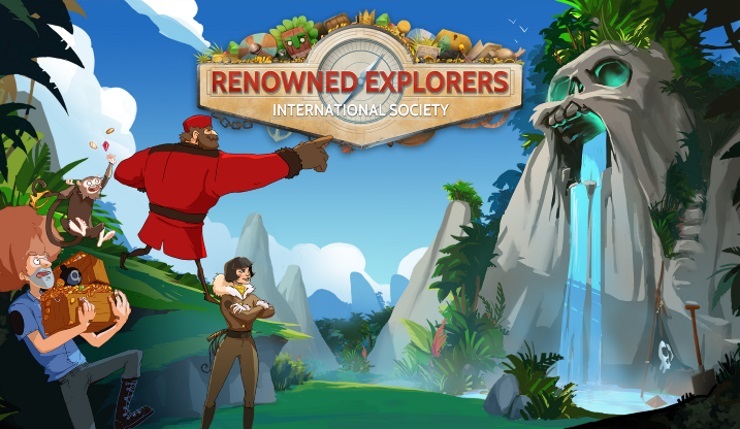 If you were disappointed with Might & Magic Heroes VII’s lack of divergent gameplay and need a steady replacement for that void, Renowned Explorers: International Society is definitely for you. For now, unless my house burns down or something drastic involving aliens occurs, I’m going back into the game to start a new adventure. A charming and unique turn-based adventure that hides an intricate battle system behind all the whimsy. DiRT 3 Races Into Stores Worldwide!